SKU: ABB02. Categories: Tools & Equipment, Automotive Tools. 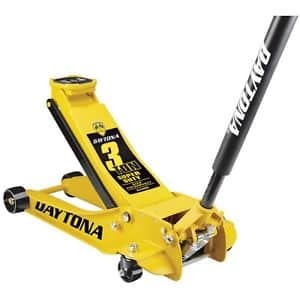 Tags: automotive jack, car jack, floor jack. This engine hoist has a 1000 pound capacity, comes with a chain sling, and breaks down to fit in most trucks, SUV’s, or hatchbacks. This jack has a 1000 pound capacity. This engine hoist has a 3000 pound capacity, comes with a chain sling, and requires a hitch with a 2″ ball in order to be transported.